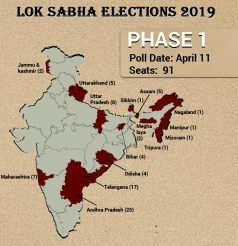 Kakinada, Amalapuram, Rajahmundry, Narasapuram and Eluru seats in Andhra Pradesh will go to Lok Sabha Elections 2019 on April 11. The Kakinada Lok Sabha Constituency consists of 1,265,094 number of electorates in total. In 2014, it was won by Thota Narasimham of the TDP against Chalamalasetty of the YSRCP. For Lok Sabha Elections 2019, the Bharatiya Janata Party (BJP) has fielded Yalla Venkata Ramamohana Rao (Dorababu), while the Congress has given ticket to MM Pallam Raju. The seat will also witness a tough contest between YSR Congress Party’s Vanga Geetha and TDP’s Chalamalasetty Sunil. Amalapuram Lok Sabha Constituency consists of 1,275,287 electorates in total as per Election Commission of India 2009. In 2014, the seat was won by Dr Pandula Ravindra Babu of the TDP against YSRC’s Pinipe Viswarupu. The seat is reserved for Scheduled Caste candidates. For Lok Sabha Elections 2019, the BJP and Congress have fielded AyyajiVema Manepalli and Janga Gowtham, respectively. The seat will witness a competition between Chinta Anuradha of the YSRCP and GMC Balayogi of the TDP. Rajamundry has primarily been a stronghold of the Congress, although the BJP has also won a few times. The total number of electorates in the seat are 1,260,974. In 2014, the seat was won by Murali Mohan Maganti of the TDP against YSRCP’s Boddu Venkataramana Chowdary. For Lok Sabha Elections 2019, the seat will see a tough contest between BJP’s Satya Gopinath Dasparavasthu, Congress’s Nalluri Vijaya Srinivasa Rao, YSRCP’s Margani Bharath and TDP’s Maganti Roopa. The Narsapur Parliamentary constituency has a total of 1,173,138 electorates out of which 605,817 are females and 567,321 are males. The seat was won by Gokaraju Ganga Raju of the BJP against Vanka Ravindranath of the YSRCP in 2014. For Lok Sabha Elections 2019, the BJP, Congress, TDP and YSRCP have fielded Paidikonda Manikyalarao, Kanumuri Bapiraju, Vetukuri Venkata Shiva Rama Raju and K Raghurama Krishnam Raju, respectively. The Eluru Lok Sabha Constituency consists of 1,275,575 number of electorates in total. It has had both the Congress and the TDP as tough contenders. In 2014, the seat was won by Maganti Venkateswara Rao (Babu) of the TDP against YSRCP’s Thota Chand Sekhar. For Lok Sabha Elections 2019, the BJP and Congress have fielded Chinnam Ramkotaya and Jettl Gurunadha Rao. The seat will see a competition between Kotagiri Sridhar and Maganti Venkateswara Rao of YSRCP and TDP, respectively. 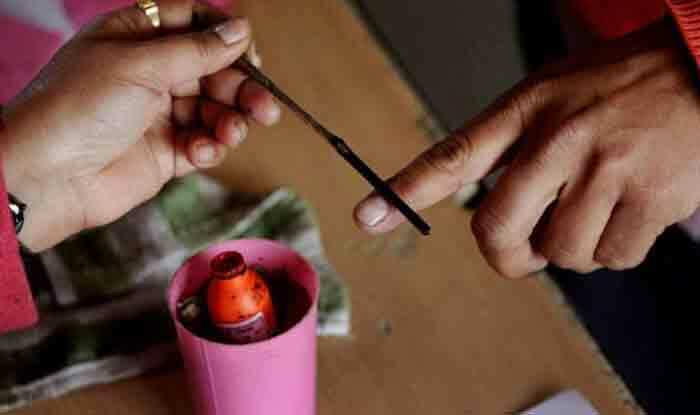 The voting for Lok Sabha Elections 2019 is scheduled to begin on April 11 and conclude on May 19. The counting of votes will be held on May 23.